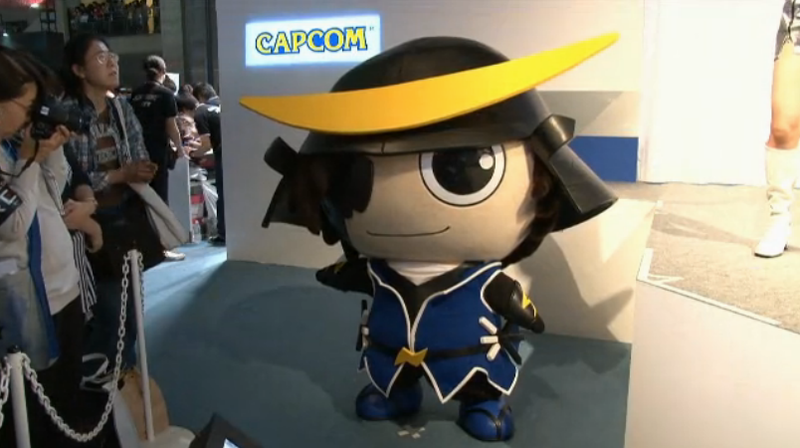 There was a Sengoku Basara panel today at 15:00 today at the Tokyo Game Show 2014 (TGS). The 40-minute panel was hosted by series producer Kobayashi 'KobaP' Hiroyuki and series director Yamamoto 'YamamotoD' Makoto. 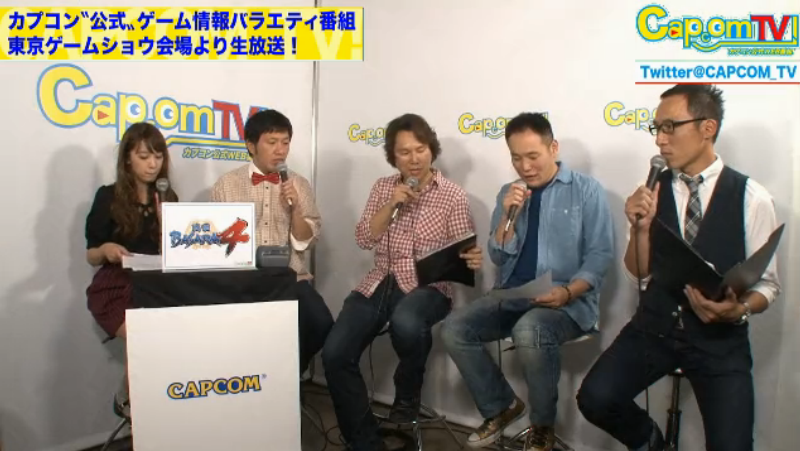 Thankfully, a worldwide broadcast was arranged through Capcom TV for people who couldn't attend the event. There wasn't much interesting news, but it was still a fun watch. Usami 'Usamisu' Yuki was the celebrity MC. In case it's not obvious, that's her on the left, with KobaP in the centre and YamamotoD on the right. The camera also occasionally cut to the Masamune-kun mascot character for his reactions, which generally involved adorable wiggling (that's all he's able to do). KobaP explained that Masamune-kun had recently made his debut along with his buddy, Yukimura-kun. The bulk of the presentation was composed of three gameplay challenges. 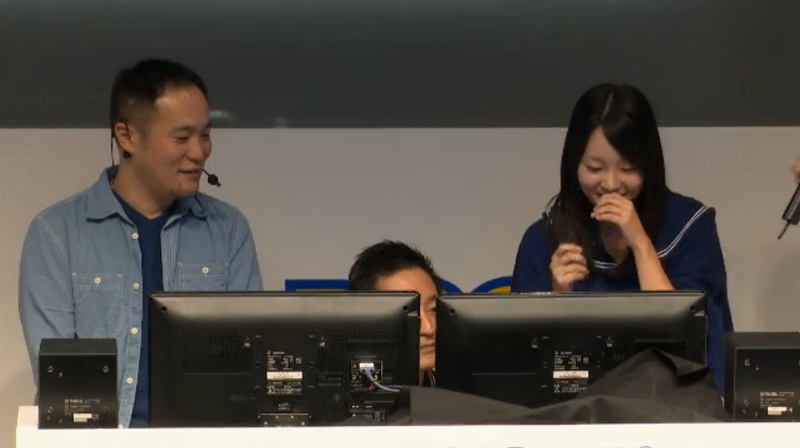 Fans from the audience volunteered to face off against YamamotoD on a stage of his choosing. 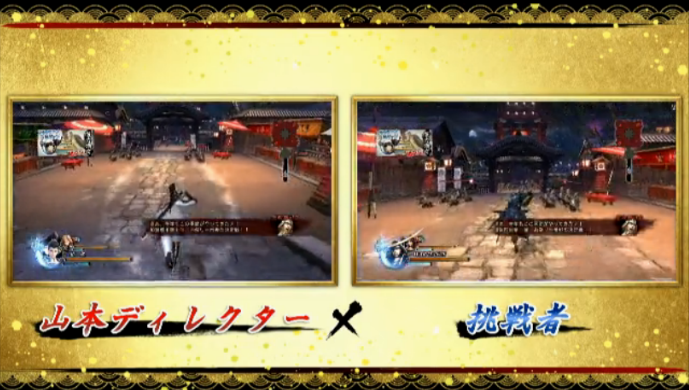 The first challenger was an angelic-looking girl who picked Yoshitsugu and Sakon (YamamotoD chose Katsuie and Masamune). 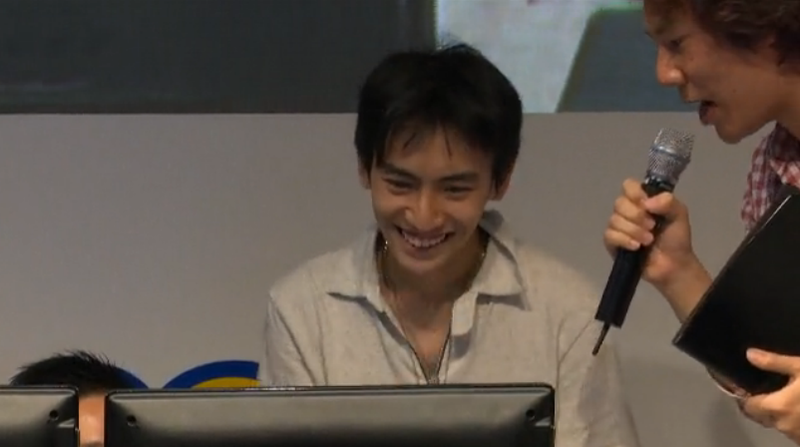 They fought on Battle of Sekigahara: Western Shadow and while YamamotoD took his time at first, the challenger charged ahead and started to rack up an impressive kill count. She seemed to be a big Gyoubu fan. The challenger won and was presented with a goodie bag full of rare merchandise. 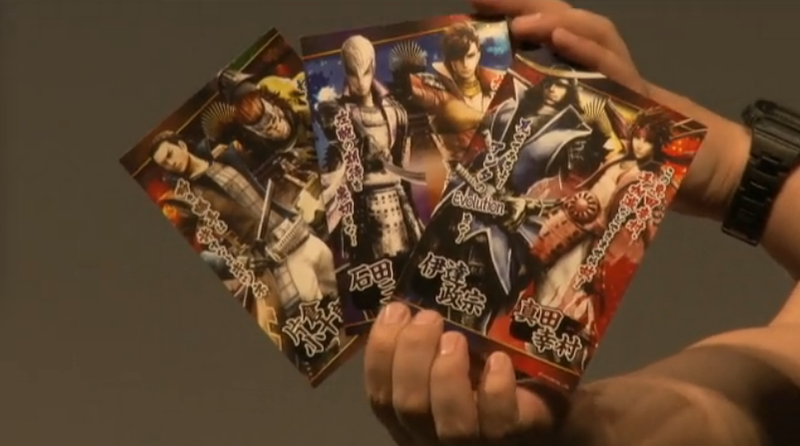 The next audience member who decided to play was a young man who chose Mitsunari and Masamune. YamamotoD selected Matabee and Tadakatsu on Battle of Sekigahara: Eastern Sun. 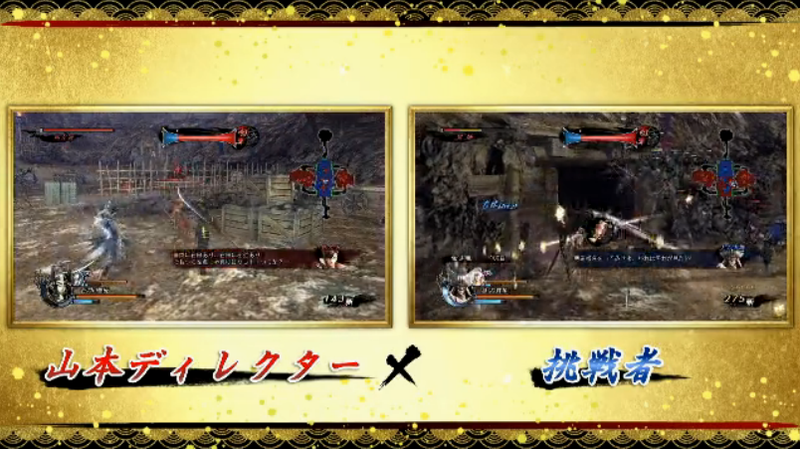 Poor YamamotoD lost again, though he did spend most of the match showing off Tadakatsu's moves and messing around. The third and final challenger was another young man with an infectious smile. 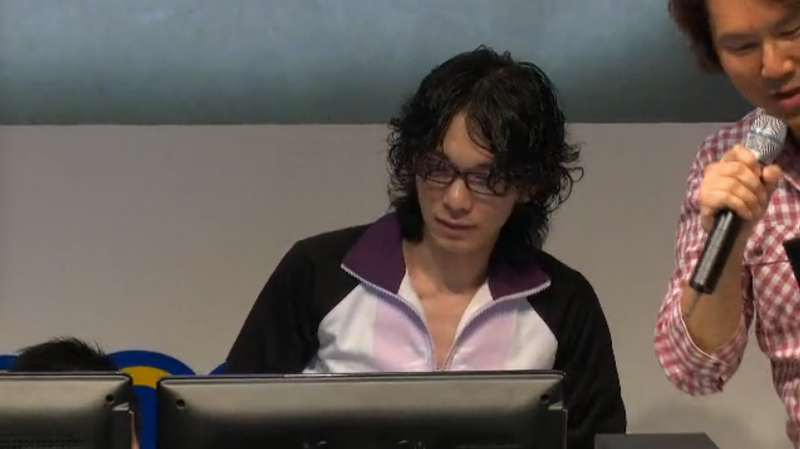 He chose Masamune and Katsuie. YamamotoD went with Naotora and Magoichi on the Kaga: Maeda Kabuki-Matsuri stage. This time, YamamotoD managed to win the match, though both of them played well and easily maxed out the festival gauge very quickly. 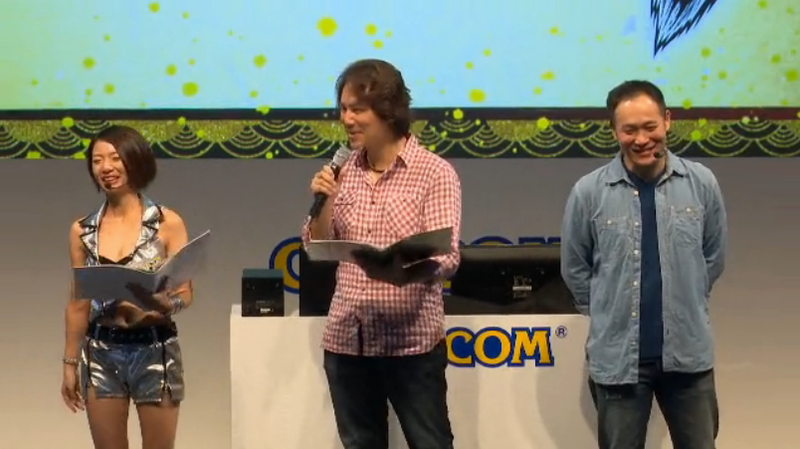 The panel ended with a news round-up from KobaP, which recapped previous announcements right up to the end. They showed off the special postcards fans can win at this week's More's City event. 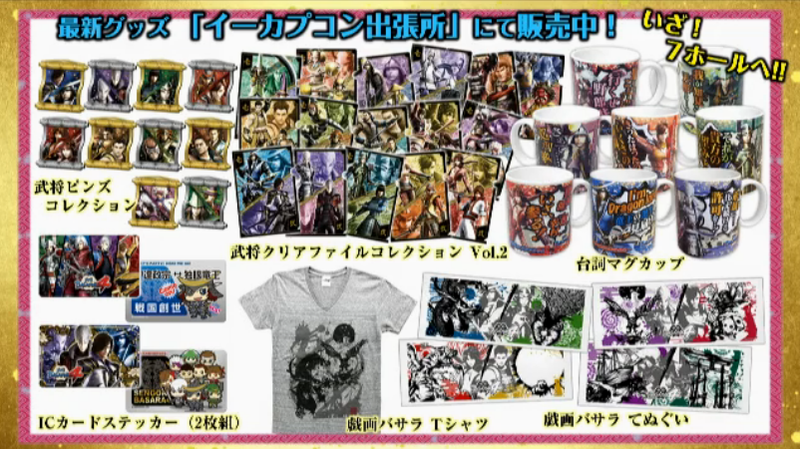 It was impressive seeing all of the recent game merchandise arranged in one picture. There was only one brand new announcement and it was saved right until the end of the presentation. 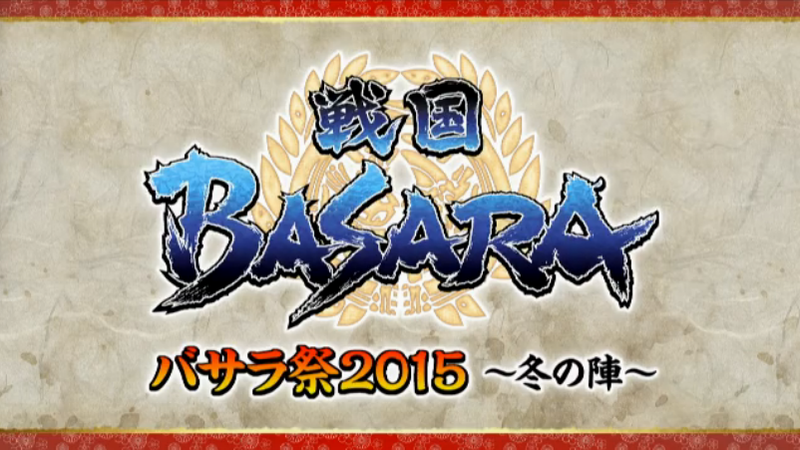 There's going to be another fan event in Japan: Basara Matsuri 2015 ~Fuyu No Jin~. 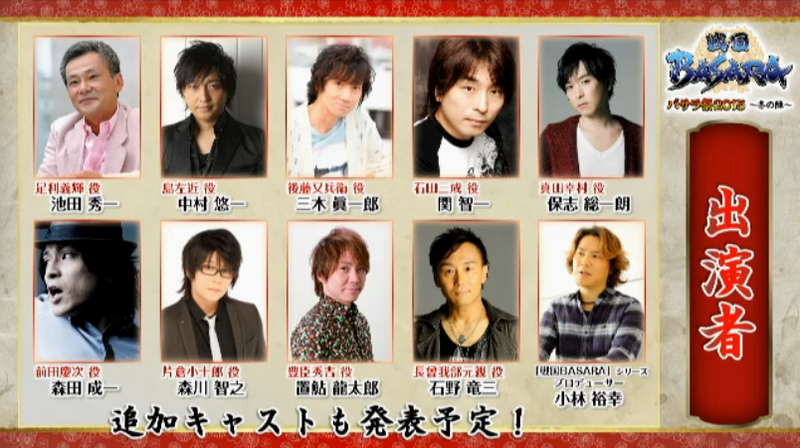 The guest list so far includes seiyuu Ikeda Shuuichi (Ashikaga Yoshiteru), Nakamura Yuuichi (Shima Sakon), Miki Shinichirou (Gotou Matabee), Seki Tomokazu (Ishida Mitsunari), Hoshi Souichirou (Sanada Yukimura), Morita Masakazu (Maeda Keiji), Morikawa Toshiyuki (Katakura Kojuurou), Okiayu Ryoutarou (Toyotomi Hideyoshi) and Ishino Ryuuzou (Chousokabe Motochika). KobaP will also be attending. The event will be held on Sunday 1st February 2015 at the enormous Nippon Budoukan, just over a year after the release of Sengoku Basara 4. There will be two performances, one in the afternoon at 14:30 and one in the evening at 18:30. 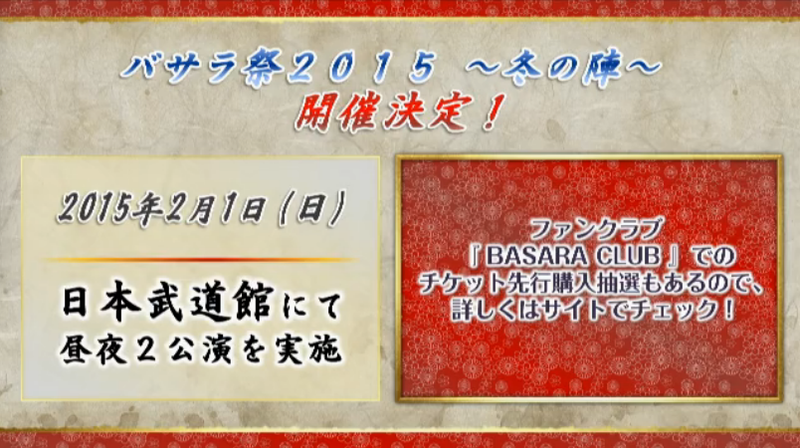 Members of the BASARA CLUB fan club will be able to apply for the first of the ¥7,000 tickets via lottery next week. As it looks like this will be a big event, I'd expect the guest list to become longer over the next couple of months. It's very likely that there will be some musical guests as well. After the show was over, KobaP and YamamotoD sat down with Capcom TV hosts Hirai Yoshiyuki (of America Zarigani) and his assistant Ikeda Chocolat to answer some questions submitted by fans. 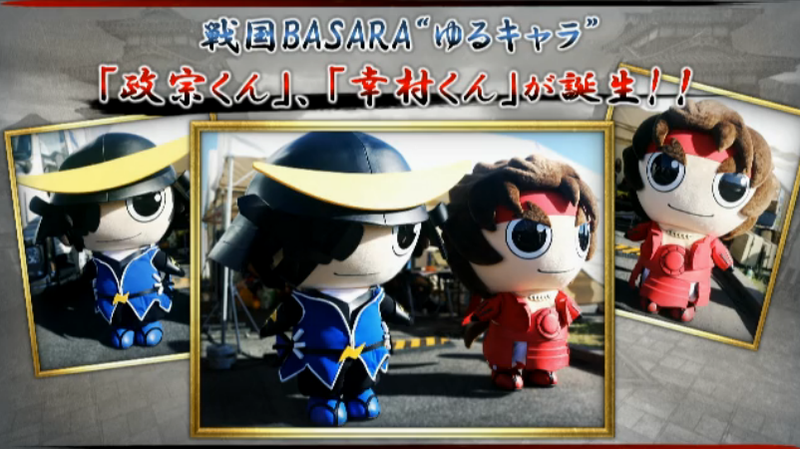 So all in all, it wasn't the most exciting TGS presentation but a major new Basara Matsuri event means that the tenth anniversary celebrations are starting to kick off at last. I can't wait to hear more!